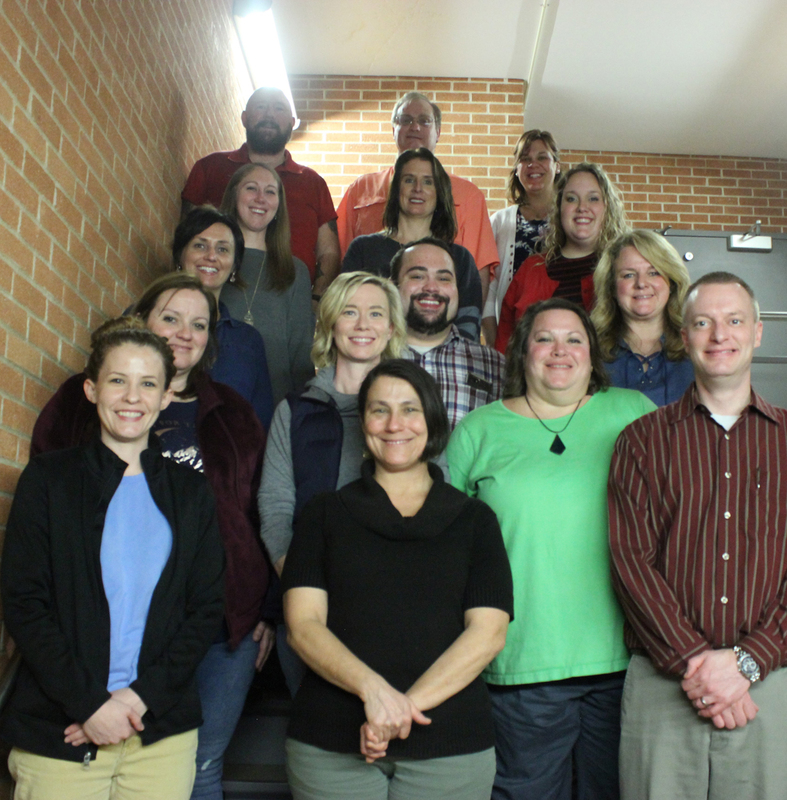 CARBONDALE, Ill. - Southern Illinois University Carbondale has selected a group of STEM-focused junior high and high school teachers from throughout the area for participation in an ongoing National Science Foundation-funded training grant. The Robert Noyce Master Teacher Fellowship is funded with a $2.2 million grant to SIU. It is aimed at helping highly qualified teachers present STEM subjects to junior high and high school students throughout the region. STEM refers to science, technology, engineering and mathematics. SIU received the latest grant last year, bringing the amount the university has received to help teachers more effectively present STEM courses to $4.5 million since 2011. The initial funding of $3.25 million built a community of more than 40 regional teachers who conducted research in the Cache River wetlands, developing skills they subsequently took to their classrooms. This latest round of funding will fuel a project with a different focus, said Karen Renzaglia, a research professor of plant biology and the principal investigator on the grant. Although the emphasis remains on further enhancing STEM education for regional students, the co-principal investigators include SIU experts in plant biology, zoology, teacher leadership, effective STEM pedagogy and sustainability and environmental science. Program leaders recently selected participating teachers based on their performance as educators, content knowledge and their commitment to enhancing STEM teaching practice through innovative and effective pedagogy. Those selected will conduct summer research projects and other professional development activities throughout the project. Keith Steward Campbell, Cairo School District No. 1, MS in elementary education, 15 years, grades 7 and 8, and high school robotics. Andrea Burzynski, Carterville High School, MS in teacher leadership, 19 years, grads 9-12. John A. Casebolt, Cape Central High, MA in teaching, 6 years, grades 9-12. Eryn Daugherty, Collinsville High School, MS in educational administration, 19 years, grade 9. Craig Kirchner, T.C. Ward School – Tri-County Special Education, MS in plant and soil science; MA in secondary education biology; license in special education learning behavioral specialist, 10 years, grades 6-12. Lindsay Adams, Gallatin County School, MA in education expected in May; nine years, grades 9-12. Holly Dunderdale, Marion High School, MS in math and science education, 19 years, grades 9-12. Megin Rice, Marion High School, MS in biology, 25 years, grades 10-12. Alyssa Weisenstein, Marion High School, MA in teaching, three years, grade 9. Jonathan Loucks, Mount Vernon Township High School, M. Ed. in instructional design, grades 9-12. April Bartnick, Carruthers Elementary School, MA in sociology, 13 years, grade 5. Meteicha Catherine Green, Carruthers Elementary School, MS in special education, 17 years, grade 3. Amy Telford, Salem Community High School, MA in instructional strategies, 25 years, grades 9-12. Tiffany Garner, Sesser-Valier School District, MA in education expected in May, 12 years, grades 6-8. Emily Richbourg, Shawnee High School, MS in biology education, grades 9-12.